Holiday Craft Link Up Party! 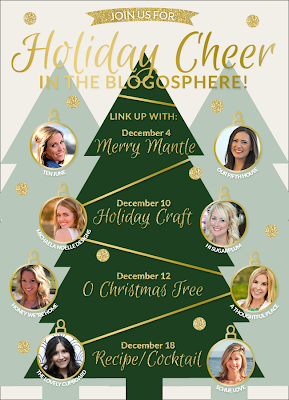 Welcome to the Holiday Craft link party, hosted by myself and Cassie of Hi Sugarplum! We can't wait to see what you have up your sleeve. 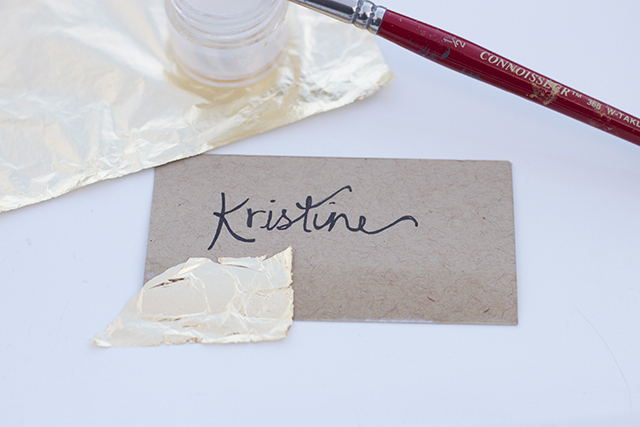 Below is my Christmas gold foil place card craft. 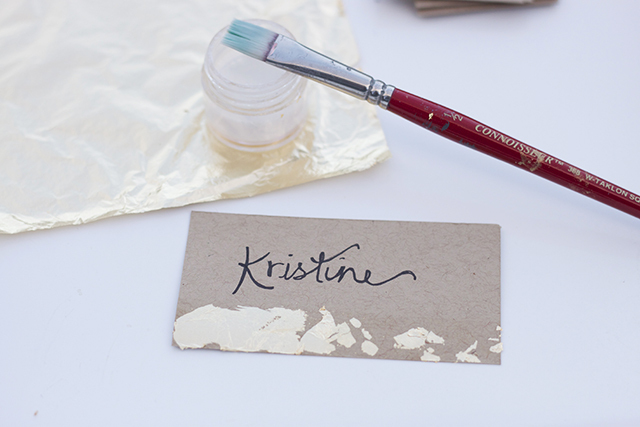 Materials: gold foil, adhesive and paint brush or glue stick, black felt marker, paper cutter, kraft card stock. 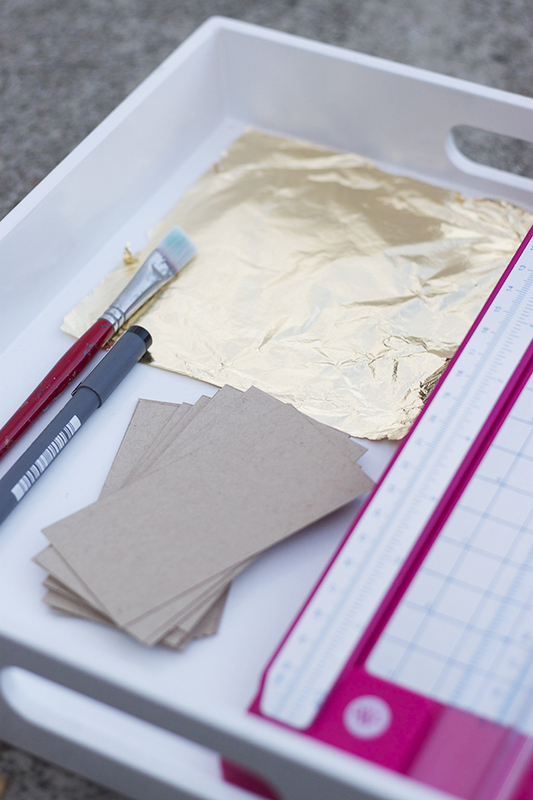 Step 1: Cut your card stock with the paper cutter into whatever size you'd like. Ours are 1.5" x 3.5"
Step 2: Write out your names with the black fine-tip marker. Step 4: Let dry and you're done! I love these. Simple and super cute! 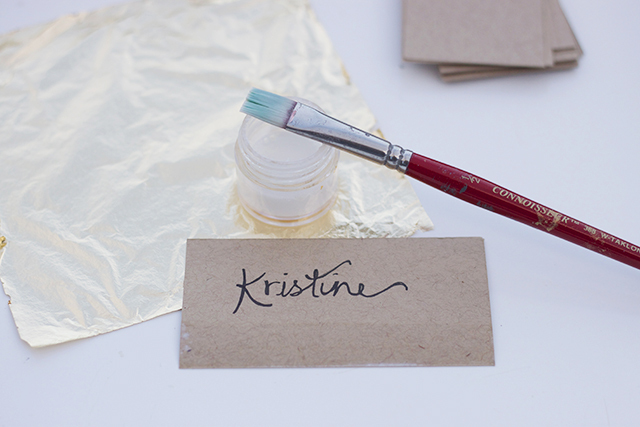 I still have never used gold foil, but this makes me want to try it! 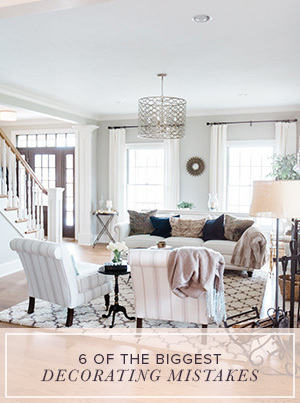 These look so easy, yet very classy! 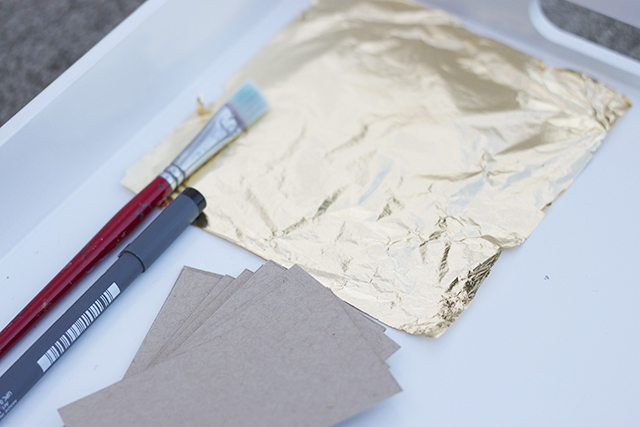 I haven't used gold foil yet either...looks like the perfect starter project! Oh these are sooo pretty. 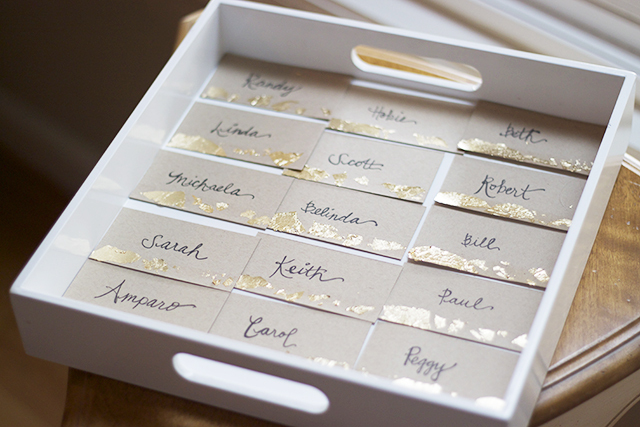 What a great way to dress up just about anything, including these name cards! Gorgeous! So simple and beautiful. These are so perfect! Love the idea...need pretty penmanship like you though. You know I'm always commenting on how gorgeous it is! 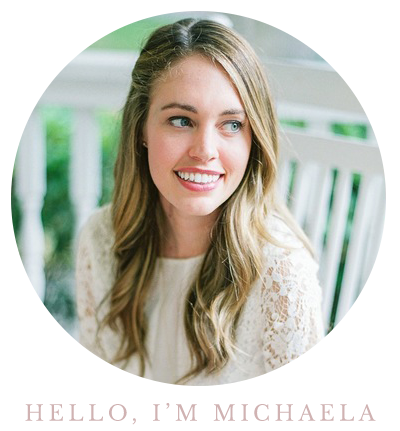 These are beautiful Michaela! 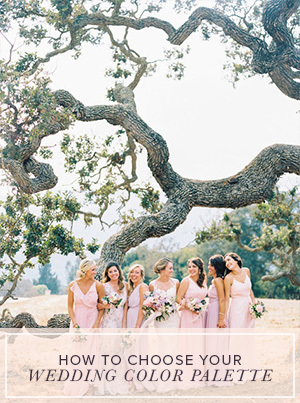 I linked up today with you girls and I'm loving all the other links here too! How cute are those name tags! 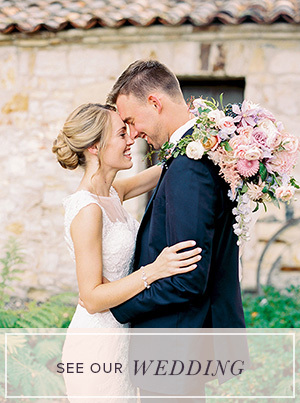 I love that you did this link up - I can't wait to read all the other links as well! So pretty & easy! Definitely doing this & I love that it can be done year-round woo hoo! Linking up my craft here & on my blog. Thanks so much to you & Cass for hosting!! Advertise on MND in January! 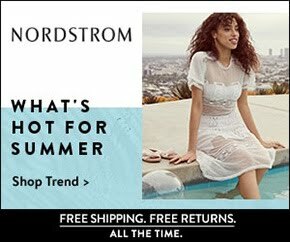 Vintage Flea Market Tote Bag Giveaway! 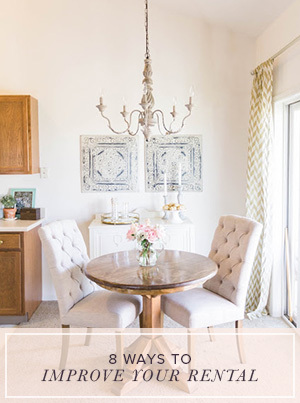 Lucite Tray Styled 2 Ways & Giveaway!